Welcome to the Woodlands of Camino Real! Welcome to the Woodlands of Camino Real! Find homes for sale in the Woodlands with the San Antonio Premier Group. The Woodlands of Camino Real is located just off Hwy 281 and Bitters Rd. in North Central San Antonio, 78216. The Woodlands of Camino Real is a well established neighborhood composed of unique homes, no two the same. The neighborhood is densely populated with mature trees, some even larger than the homes. In 2010, Camino Real was rated as one of the Safest Neighborhoods in San Antonio. The Woodlands of Camino Real sits in San Antonio's North East Independent School District (NEISD) and is serviced by Harmony Hills Elementary School, Eisenhower Middle School and Churchill High School. For more information about homes for sale in Woodlands of Camino Real, homes for sale in NEISD or homes for sale in North Central San Antonio, call the San Antonio Premier Group at 210-818-0669! 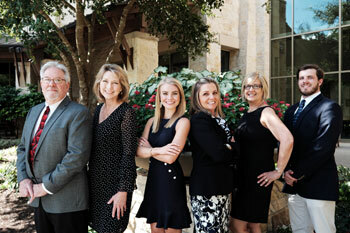 Chuck Nall of the San Antonio Premier Group is a former HOA President for the Woodlands of Camino Real. Selling your home in Camino Real? Click here to find out the value of your home.